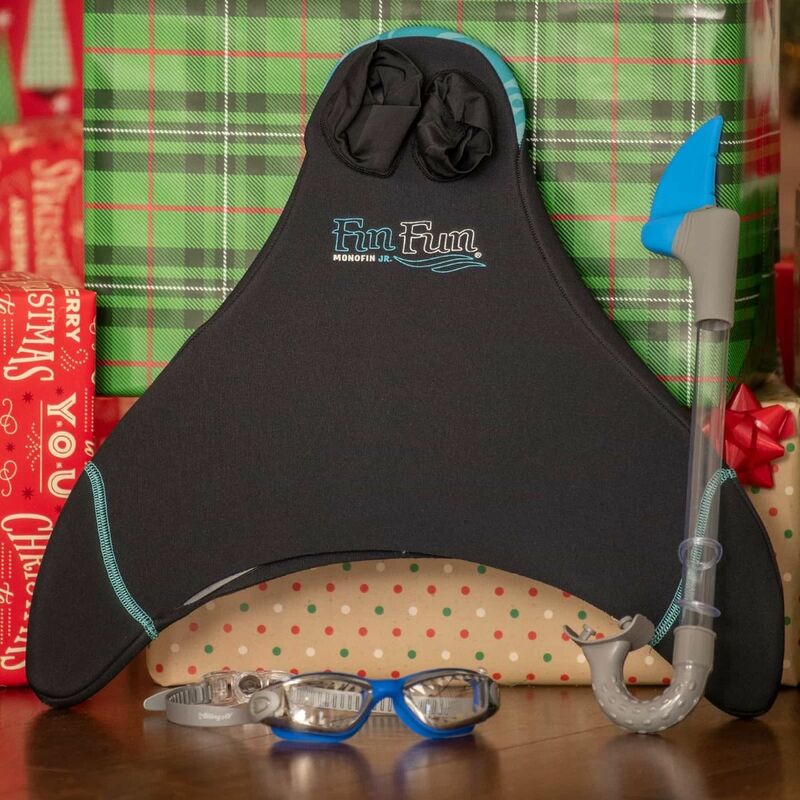 Become an unstoppable underwater explorer with our exclusive Swim Accessory Bundle for boys featuring our Blue Trim Monofin Jr. and Bling2o’s premium shark goggles & fin snorkel. 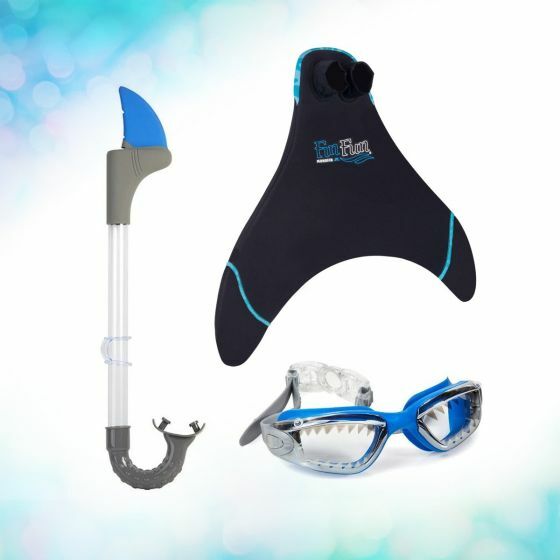 It’s easy to become part of the pool scene with this swim accessories bundle for shark-loving kids! Not only will they navigate the underwater world with confidence, they may just feel just like a true creature of the deep when they’re able to see ocean life clearly through deluxe anti-fog goggles. They breathe like a fish, too, with a snorkel that provides access to the air above! And just imagine the places kids can go in our Monofin Jr., designed to propel them further with less effort. It’s the ultimate experience for shark fanatics!